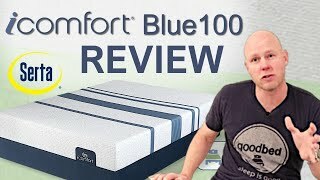 Is Blue Max 1000 Cushion Firm the right bed for you? The Serta iComfort Blue Max 1000 Cushion Firm mattress model is recommended by 48% of owners on GoodBed (based on 42 ratings + 1 review). Do you have a Serta iComfort Blue Max 1000 Cushion Firm mattress? Write a Review! Have a question about the Blue Max 1000 Cushion Firm? The Blue Max 1000 Cushion Firm is an unquilted medium-firm mattress model released in 2017 that is part of the iComfort product line manufactured by Serta. The Blue Max 1000 Cushion Firm is a 13-inch thick no-flip mattress that offers memory foam padding. 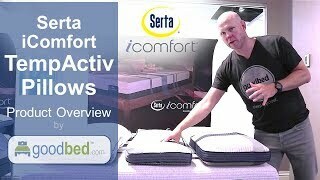 Have an update or correction to our information about Serta iComfort Blue Max 1000 Cushion Firm? If so, please take a moment to suggest an edit. Showing stores with Serta iComfort Blue Max 1000 Cushion Firm products nearest to Ashburn, VA. Call store first to confirm availability.